A get-together with friends can easily be made awkward by someone spilling their coffee on the carpet. 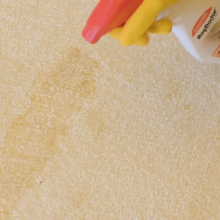 Fix the stain quickly and easily with Rug Doctor. Our Spot and Stain Remover is a great choice for tackling everyday spills in the home, including coffee. As a Which? 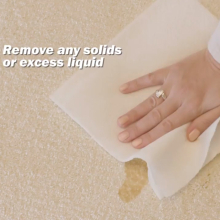 Best Buy Carpet Stain Remover, it can deal with every common stain you can think of – from grease to grass and even ink! If you’re not a coffee fan, it will sort out tea stains too. Enjoy this product’s flexibility and use it as a quick, emergency remedy or apply it as a pre-treatment before cleaning with a Rug Doctor machine. 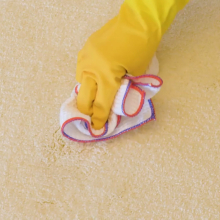 Plus, it works on many types of surface, such as fabrics, upholstery and even woollen carpets. It’s also pet-friendly, so all the members of your household will be protected. Remove solids and excess liquid. 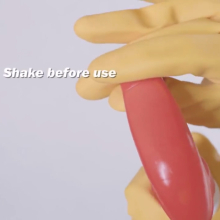 Shake the trigger bottle and switch the nozzle to the ON position. 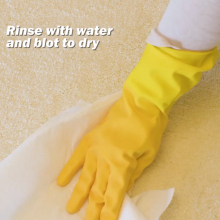 Generously spray the Spot and Stain Remover onto the spill. Agitate lightly, working from the edge of the stain towards the middle. Pressing deep into the surface, blot with a paper towel. Apply a second time if the stain is difficult. Rinse the area with water and blot it to dry. Wash your hands if you didn’t wear gloves. 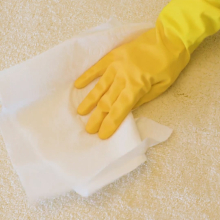 Rug Doctor’s Oxy Power Stain Remover also works a treat on coffee stains. It attacks the chemical bonds and removes the colour, so no-one would ever never know it was there. Nowadays, a morning coffee is an essential part of the day. If it doesn’t go as smoothly as you’d like, count on our products to clear up the mess and get your morning off to a great start.